I love toys! There I said it! I'm not talking about big kid toys like electronics, and such. I'm talking about figurines of my favorite super heroes, Transformers, anime characters etc. Truth be told, I don't hold a figure in each and make fight sounds as I bash them together, like I used to. These days, I just display them on shelves and every once in a while I'll change their position or posture for a different look or I'll use them as photo props. Some of my favorite toys are still in the original packaging! Anyways, I thought it'd be helpful for those of you who, like me, score a lot their loot online because it's just way to hard or not possible to find them in stores anymore. Maybe extra images or my 'take' on the toy, will help you decide if it's worth adding to your collection or not. Hasbro's has introduced this remake of the Autobot Mirage as a Deluxe Class figure in the Transformers - Combiner Wars toy line in 2015. He is now a part of a 'combiner team' consisting of Sunstreaker, Prowl, Iron Hide, Rodimus and Battle Core Optimus. Together they combine to form Optimus Maximus. Not to be confused with the red and blue Optimus Prime combiner that forms Ultra Prime with four other random bots of which Mirage isn't a part of. However, it is the Drag Strip that replaces Mirage, same toy mold, different character, just like the Optimus torso. I didn't even know there was a white colored Optimus until I went looking for a torso bot after seeing and impulse buying my two childhood favorite vehicular autobots, Mirage and Jazz. After months of looking/waiting for something "cool" enough to complete my Optimus Maximus, I settled on Moon Racer and Nova Star, my first female bots. Rodimus is a Legends class figure and is the optional chest piece of Optimus Maximus. You don't have to get it I suppose, but I find the torso really, really ugly without something in the chest. I think I might use the Decepticon Blackjack (same toy mold as Rodimus) for color balance because I may have to swap out Jazz for Drag Strip. More on the reason for that later, for now, here's the details for Mirage. Mirage's white and blue color scheme looks good as does the F1 style race car vehicular mode. The paint job on my figure is good, I haven't spotted any issues. I think vehicle mode looks best even though the front wheels are just slightly too high making them not touch the ground. Just thought I'd let you know, that I tested the rolling of the car, just for you. I definitely wasn't racing it around on my desk. All four wheels do roll though. There are two ports, one on either side of the car, just behind the front wheel. The port will fit both the weapon and the hand/foot attachment. The hand/foot attachment has a port that will fit the post just above driver's seat, which looks better than off to the side. My only other vehicular mode quibble is that the rear spoiler is too small. Anyways, on to robot mode. Mirage's head is on a swivel and a hinge joint at the neck (to allow the head to move out of the way in limb modes). The arms are hinged and ball jointed to allow for a shrugging motion as well as for a full arm rotation. There is a bicep swivel and elbow hinge. 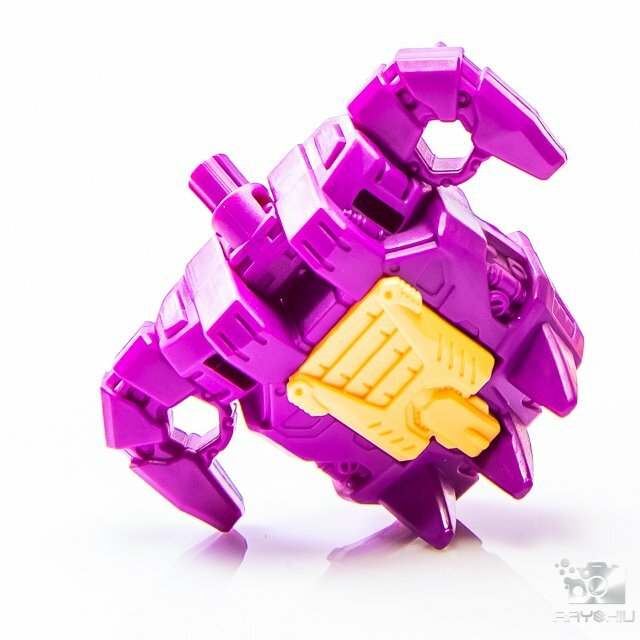 The wrists are hinged for the sole purpose of hiding the fists when in vehicle and limb modes. The waist is on a swivel as are the thighs and the only other joint is at the knees. Overall I'm quite pleased with this figure maybe I'm biased because Mirage is one of my favorite characters. I feel I should mention that all the joints and swivels range from the snug to tight so no flip floppery on my figure. There is one thing to note that can be a deal breaker for some of us and that is the height of Mirage in leg mode. My mirage figure in leg mode is taller than my Jazz in leg mode. I couldn't tell which one was the "off" one so I pulled a leg off Superion (Air Raid) and a leg off my version of Sky Reign (Blot) and it is Mirage that is taller. As you can imagine having one leg taller than the other makes standing straight not possible so you must pose it for it stay balanced and not fall over. An easy fix to this problem is to make Mirage an arm instead. A not so easy fix is to find a bot whose leg mode is the same height, such as the Decepticon, Drag Strip. Since they use the same toy mold they should be exactly the same height. Plus it'll make the whole bot look a lot more symmetrical. What makes the combiner teams special is their 'ability' to merge into one giant robot. This means that each member of the team will have a third transformation mode, one that's specifically for the giant robot. The groups will typically consist of five members, one of them being larger than the others (Voyager Class figure) and will transform into the torso/head of the giant robot. The other four will transform into a limb, either an arm or a leg and you can place them however you like. 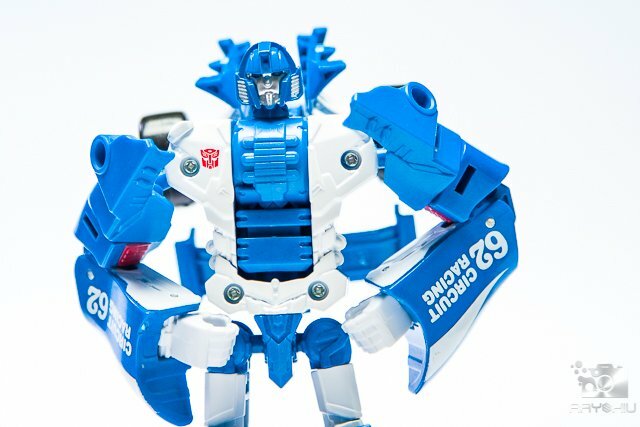 NOTE: Some combiners, whose 3rd transformation is a limb, (when sold/purchased separately) only come with the hand attachment (Prime Armor) which means that the foot attachment will then be included with the torso figure. Since Combiners from the Combiner Wars and Power of the Primes toy lines are interchangeable and not all of them have the same hand/feet pieces you'll have to really look at the included pieces if you're planning on mixing and matching to create your own Combiner team. 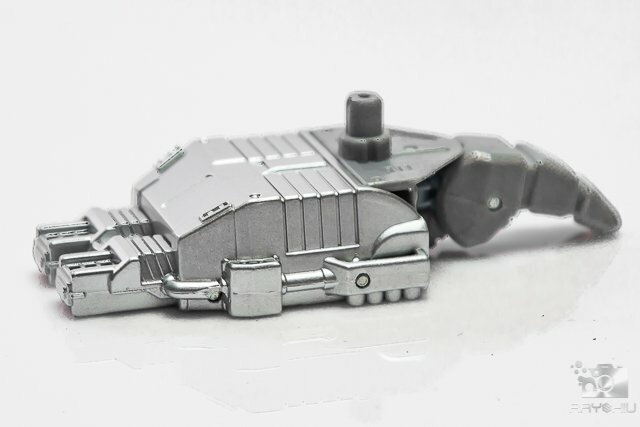 Battle Core Optimus DOES NOT come with any hand or feet attachments and 3 of the 4 limb bots that I bought had Prime Armor attachments so I had to look for solution for the feet attachments. What I found online was something called a Perfect Effect upgrade kit. They make a whole bunch of different kits for Combiners. Some are just hands and feet, others have weapons, chest plate add ons and limb widening add ons. Some of them look really awesome and I'm considering a couple of kits, however, they are quite pricey. While searching I also found some cheaper, different styled, different colored sets that were not from the Perfect Effect brand. I ordered the least expensive one I could find. It was a very pleasant surprise that both the hands and the feet can be transformed into weapons. The feet can transform into a really big double barreled blaster or separated into two blasters while the hands transform to something like a rifle. In foot mode, the tips of the barrels can be removed so that they don't protrude from the back of the foot. I think the feet look better without the protruding barrels. The peg for the leg port is on a swivel for better posing stability but is a very tight fit. Another nifty thing about combiner teams is that some Legends Class figures have an alternate mode for use in combiner teams, either as a chest plate or a weapon. For example, Optimus Maximus officially uses the Combiner Wars, Rodimus as a chest piece. You don't have to use Rodimus because the Decepticon Blackjack is the same toy mold and used as Menasor's chest piece. I've also seen Thundercracker, Wind Charger and Power Glide used as Optimus Maximus' chest piece although I kept my Power Glide as a fan mode, chest piece for Superion (officailly he's Superion's weapon). As for my Optimus Maximus since I have to use Drag Strip I might as well try to find Blackjack too. So, the moral of this story is, if you're like me and collect toys based on how much you like the toy, set, theme or whichever and whatever, then you're probably going to mix and match. If you do, please make sure you are set on parts as mentioned above AND that the figure you plan on using for the torso is actually capable of that third transformation. For example, just because the figure is from the Combiner Wars series doesn't mean it is a Combiner. I made that mistake...now I have two Ultra Magnus'! Lucky he's one of my favorite characters, so I don't really mind. If you have older Combiners using the older feet (like the one picture above), you can use the hands for feet then the Prime Armors for hands, that way you don't have to buy an upgrade kit. We are currently running an event on steem where we try to create 250 new minnows in a month. A minnow being someone that has 500+ SP. I noted from your accounts that if you powered up your liquid steem you would become a minnow. That’s such a milestone and would put you in one of the top 1 % of steem power holders. Did you know that, at the current level, there is only enough steem for 300,000 people in the world to hold 1000 STEEM each.